Ferrari’s legendary V8 sports car is here and it’s very dear to enthusiast’s hearts for plenty of reasons. 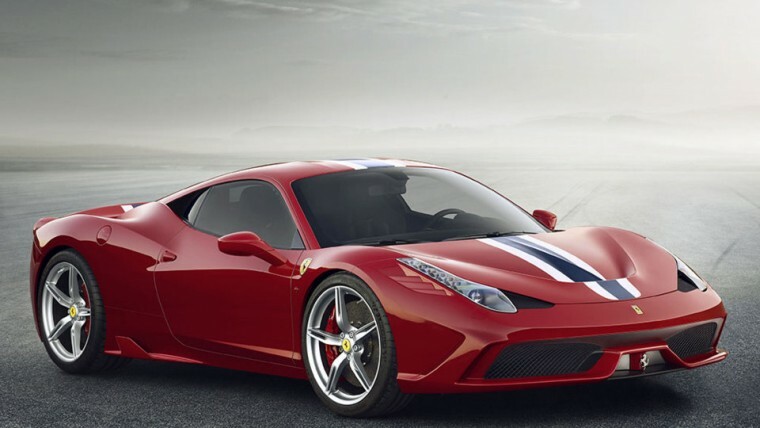 Not only does the award-winning Ferrari 458 Speciale feature the most powerful, street-legal V8 engine the automaker has ever put on the road, but it also rolls out with a racing-inspired design. Like most models, the 458 Speciale has its own configurator but standard features speak volumes when it comes to supercars. Let’s delve deeper into what makes the Ferrari 458 Speciale a favorite of enthusiasts everywhere. Featuring the same size passenger cell and signature features of the 458 Italia, the 458 Speciale is true to its roots. Redesigned bumpers and dual air outlets on the hood work to keep the radiator cool while air outlets at the side of the headlights nod to the styling of the 250 GTO and F40. Overall, the racing-inspired design is quite the sight to see. The 458 Speciale is incredibly aerodynamic, boasting a coefficient of just 1.5, the best in Ferrari’s history outside of racing. When the supercar hits 105 mph, three flaps, two vertical and one horizontal, open, effectively reducing airflow into the radiator. Once this speed demon hits 137 mph, the horizontal flap lowers, further balancing the downforce between the axles. At the rear, the flaps shift electronically to prioritize downforce and drag similar to Formula One’s Drag Reduction System. Like the exterior, the 458 Speciale’s interior stems from Ferrari’s racing line. While the configurator allows drivers to pick from a long, long list of options ranging from carpet color to stitching, the 458 Italia’s presence still lingers. 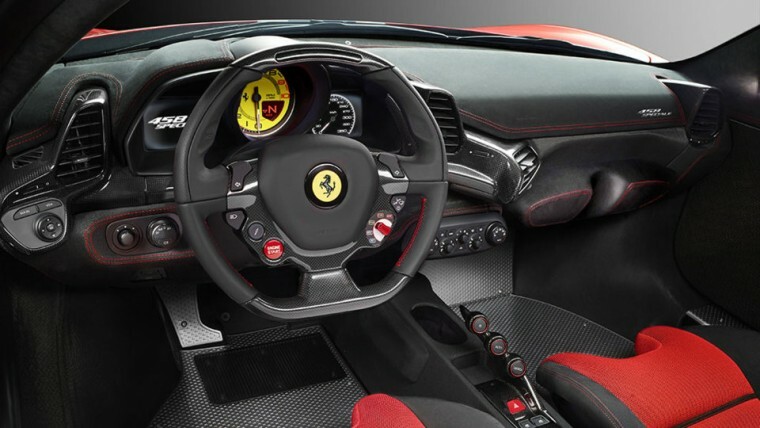 Ferrari’s standard carbon fiber console bridge boasts Formula One gearbox controls that are angled toward the driver. The seats are lightweight while side bolstering keeps both the driver and passenger secure at high speeds. Paired with excellent surface grip, the 3D fabric is entirely breathable. Designed to meld the driver with the seat, the Ferrari 458 Speciale offers the ultimate driving experience. Going fast comes naturally to this Italian stallion and for good reason. The most powerful, naturally aspirated, street-legal V8 engine Ferrari has ever put on the road. Powering this slick supercar is a 4.5-liter naturally aspirated V8 engine that rockets out of the gate with an incredible 597 hp and 398 lb-ft of torque. 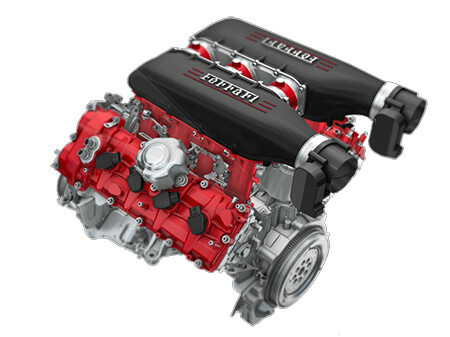 That kind of power makes this engine the most powerful, naturally aspirated, street-legal V8 engine Ferrari has ever put on the road. Boasting a 0-to-62 mph (100km/h) time of three seconds flat and a 0-to-124 mph (200km/h) time of 9.1 seconds, this car is little more than a blur when it comes down to it. With a top speed of over 200 mph, the Ferrari 458 Speciale is a true race horse. Playing host to Ferrari’s most powerful V8 engine means the 458 Speciale has quite a few awards to its name. Here’s the short list. Closing out with a price tag above $291,000, this supercar isn’t likely to land in the average driver’s garage anytime soon. Limited to just 499 units, the Ferrari 458 Speciale A is the Spider variant of the 458 Speciale. 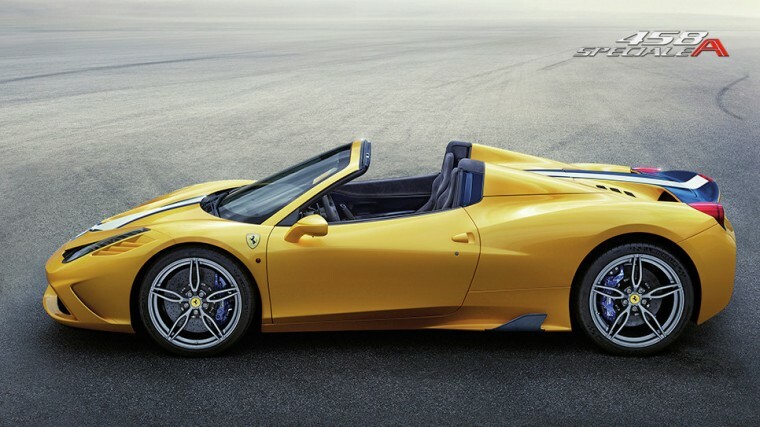 The “A” stands for “Aperta” which means “open” in Italian. 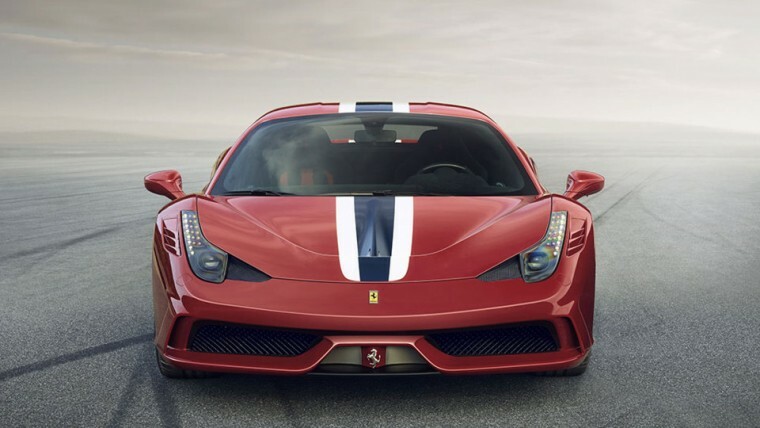 Like its sibling, the Speciale A features a 4.5-liter V8 engine rated at 597 hp and 398 lb-ft of torque. Unlike its sibling, the Speciale A features a retractable hardtop. With a top speed of 199 mph and a 0-to-62 mph (100km/h) time of three seconds flat, it’s the most powerful, street-legal, naturally aspirated V8 ever launched by Ferrari in Spider form. Like all models on the Ferrari lineup, the Speciale A has its own set of awards. Crossing the finish with a price tag of $330,000, the Ferrari Speciale A is one model you aren’t likely to see in public.